When you see someone with a perfect set of teeth, what do you think? Are you drawn to that person, or do you come up with excuses not to like them because you’re jealous of their smile? If others’ gorgeous grins make you a little self-conscious, why not take steps to join the ranks of the countless people who have discovered the marvels of teeth whitening in Costa Mesa? A brighter smile could help make 2018 your best year yet! A gorgeous smile can take attention away from things you don’t like about your appearance, like those tiny lines around your eyes. It is more affordable than many of the other cosmetic treatments from your dentist in Costa Mesa, and the results are amazing. You probably see ads on TV all the time that tell you about products that claim to whiten teeth. Perhaps there is a gum, toothpaste, or mouth rinse that says it will brighten your teeth up to X number of shades in just a couple of weeks. However, take those advertisements with a grain of salt. While some of those products may indeed deliver a low level of whitening power, they just work on the surface of your teeth. They can’t remove stains that have been there for years, which means the results they offer will be mediocre at best. The best way to get a brighter smile in 2018 is to visit your dentist. In just a single visit, you may be able to achieve teeth that are several shades whiter than they were when you came in. Or, your dentist may provide you with an at-home whitening kit that produces amazing results more gradually. Professional whitening is safe for your tooth enamel, so you won’t have to worry that those precious chompers will suffer damage. Professional whitening is a fantastic option for many people, but it isn’t right for everyone. 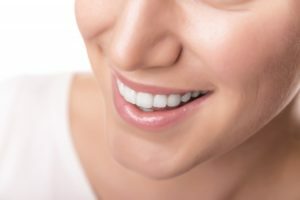 For example, if you have aesthetic flaws that go beyond stains, such as chips, cracks, or misalignment, your cosmetic dentist in Costa Mesa might recommend a different treatment. Bonding or porcelain veneers might be a more effective choice for you. It’s also worth bearing in mind that a white smile should be a healthy smile. Your dentist won’t want to perform a whitening procedure on teeth that aren’t in good shape, so you should always be resolved to take care of your whole mouth by brushing, flossing, and eating wholesome foods. Plus, those good habits will help you to maintain your new dazzle after you get your teeth whitened. Teeth whitening in Costa Mesa can help us make 2018 a year of gorgeous, can’t-stop-looking-at-you smiles! Dr. Jeremy Jorgenson is proud to serve his community, whether it is through general or cosmetic dentistry. If you would like to improve the way your smile looks and feels, he would be happy to help. You can contact our office at 714-424-9099.